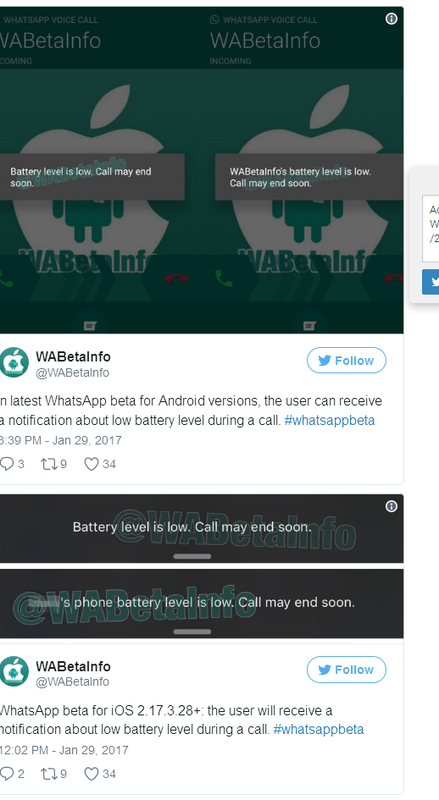 WhatsApp development forum announced on Twitter about the handy feature. The alert appears in the center of the video call screen. The new addition is being tested on both Android and iOS platforms for compatibility. According to TechZim, the feature made its first appearances on WhatsApp web where if your smartphone battery runs low you get a notification on your PC on the WhatsApp Web window. 0 Response to "WhatsApp is working on a feature that alerts your mate when your battery gets too low"